Living in New Mexico has inspired me to oil paint plein air, include animals and people in natural settings, paint portraits, and work from still life. Each painting feels like a new experience in front of the canvas: I challenge myself to better express what I envision. 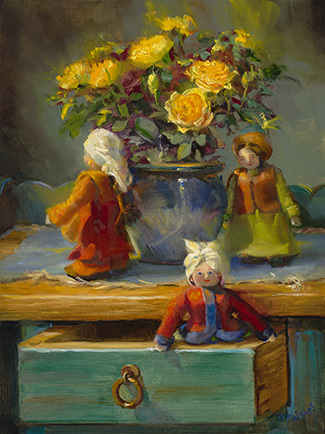 Deborah Paisner’s oil paintings are shown at James Tearoom and Patrician Design, in Albuquerque.